As a pagan, I don’t think there’s a war on Christmas; however, there was, in the past, a definite “war on paganism,” when beautiful ancient traditions were criminalized, usurped and finally overlaid with practices that Christianity claimed as its own. For centuries, any attempts to clarify this — “Hey, that’s actually an ancient pagan idea!” — were met with violence or ridicule. And so, it eventually came to pass that Christians actually believed certain pagan concepts and customs were Christian in origin. After all, no one was telling them any different. Now, we have a situation where some people are outraged that pagan traditions are actually being reclaimed by pagans. But this reclamation isn’t a war on Christmas. Rather, it’s a kind of “enough is enough” reaction to the unchecked lies that Christianity and the Catholic Church in particular has displayed over the years by shamelessly slandering pagan ideas on one hand and claiming ownership of them on the other. It’s an answer to the sanctimoniousness of some people who believe that their religion has some kind of inherent right to position itself above other religions. We must remember that paganism didn’t naturally “die out” as everyone joyfully accepted Jesus into their heart. Rather, the first Christian emperors instituted brutal anti-pagan laws that criminalized pagan belief, even in the privacy of one’s own home. Forced conversions were done on a massive scale. Pagan temples were vandalized, the statues of beloved gods and goddesses had their heads knocked off and crosses carved into their foreheads. Classical pagan culture was destroyed, with countless scrolls — literature, science, medicine, philosophy — lost forever to the flames of religious intolerance. Happily, secularization and freedom of religion has allowed contemporary paganism to grow into a major mainstream religious belief system with millions of adherents worldwide. It’s part of humankind’s history, present, and future. It offers comfort, spiritual expression, and focus to countless people and families. Perhaps it’s part of the human experience that everything old becomes new again. But what of Christmas traditions, you ask? Well, let’s start with Christmas day: December 25. Jesus’s birthday, correct? Doubtful. This time does correspond, however, with the ancient Roman festival of Saturnalia. And back in the day, it was every bit as “big” as today’s Christmas season. Saturnalia is a celebration in honor of Saturn, an agricultural (among other things) deity. A time of feasting, gift-giving, and general merry-making, it was and still is a sort of festival of light in honor of the upcoming winter solstice. Claiming this time as Jesus’s birth is typical of the way that Christianity piled its new story on top of older stories, hoping nobody would look underneath. 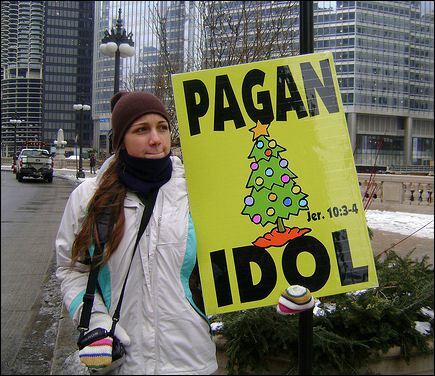 And about that Christmas tree … yep, pagan. In celebration of the upcoming winter solstice, ancient Romans decorated their homes and temples with the boughs of evergreen. The ancient Celts also decorated with evergreen, a natural symbol of everlasting life. The decorated evergreen is so fundamentally pagan that Christmas trees were not widely accepted in America until the 19th century, when people and ideas arrived from Germany and elsewhere. The goal of this short article isn’t to offer a comprehensive education on the pagan origins of Christmas. That would be impossible in this space. I know I’m leaving out more than I’m including (I haven’t even touched on Germanic yuletide). Rather, the goal here is to point out that this holiday — whatever you choose to call it and whatever it means to you — doesn’t belong to any “one” faith or world view. And that diversity adds richness and relevance. Such belief is important to contemporary paganism and a peaceful multicultural world. To me, this season means celebrating home and family. Vesta, ancient goddess of the home and hearth, is honored with meal-time offerings of salted-flour, or libations of olive oil or milk, sprinkled into a Flamma Vesta candle. This simple ritual nourishes our family unit and makes our home a sacred space. A decorated evergreen tree (it’s artificial – I just can’t watch that green fade away) stands against the front window as a symbol of life in the dead of a cold Canadian winter. It gathers gifts, while a table of food and wine gathers friends and family. We give thanks to whoever may be listening — even if no one or nothing is — for each other, and for the time we have together in this beautiful life. We tell our son to turn off the electronics and sit with us by the fireplace, and we tell our cat to stop swatting the decorations on the tree. We tell our company to “leave the mess” and visit instead. We remember that not everyone is as lucky as we are, and we do a little extra for those who struggle, whether person or animal. Regardless of what gods you pray to, or whether you don’t pray to any, I’m willing to bet the scene is more similar than different in your home. So why make war when we can make peace? Happy Holidays and Merry Christmas! Visit NewVesta.com to learn more. 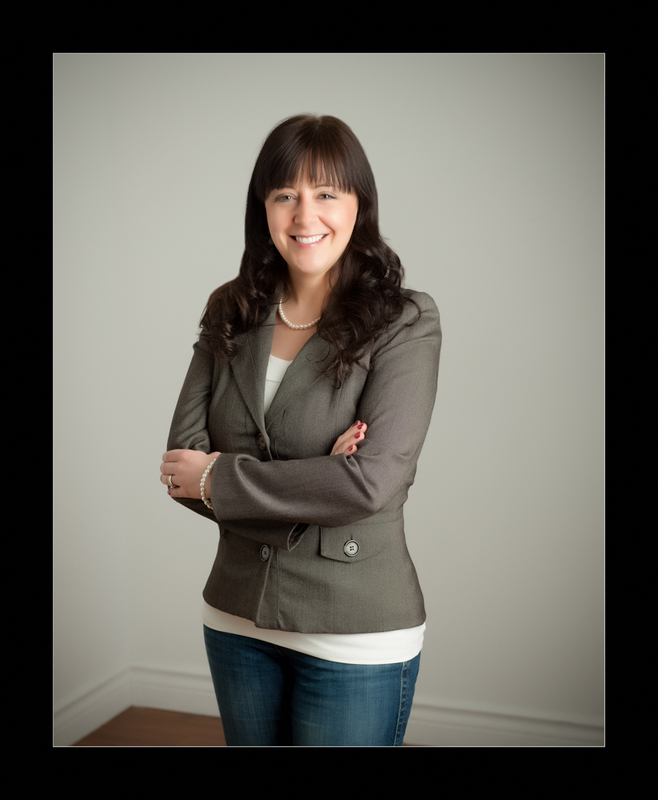 Debra Macleod, B.A., LL.B. is a couples and family mediator, a top-selling marriage author-expert and a popular resource for major media in North America. She is the leading proponent of the New Vesta tradition and order. Her New Vesta book series and Add a Spark women’s seminars “spread the flame” into modern lives and homes. You can visit Debra’s private practice at DebraMacleod.com or her Vesta website at NewVesta.com. See Debra Macleod’s other posts. I’m not sure we should go down this road. Christians were persecuted under the Roman empire too. And paganism could be just as appropriative as Christianity, if not more so. Actually, the idea that certain Christian (esp. Catholic) traditions were pagan is not new. It was popularized (and exaggerated) during the Protestant Reformation. One of the ways the Protestants attacked Catholicism was by pointing out the pagan origins of many of its traditions. This might be a bit of hyperbole. I don’t think we’ve hit two million worldwide. What about the festival of Sol Invictus?